S.Y. Kitchen’s El Dorado cocktail with mezcal, ancho chili liquor, yellow pepper, sage, lime and agave, photo by David Zepeda. 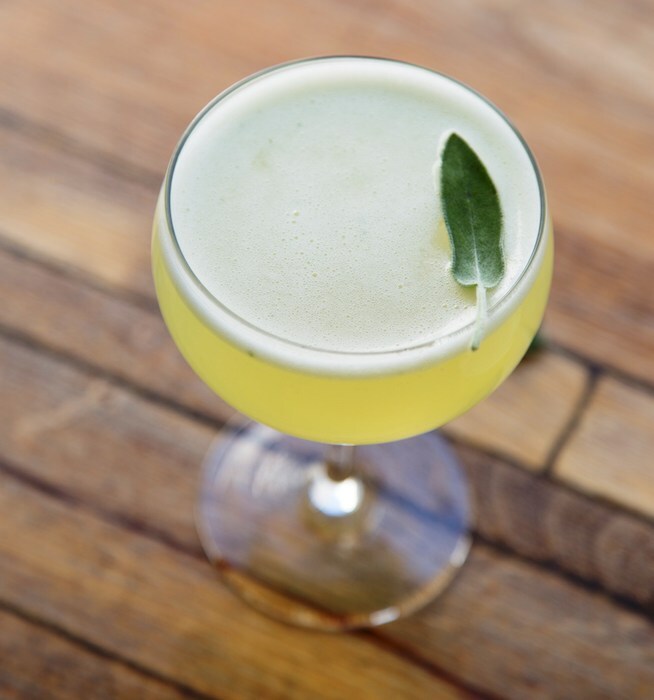 Inspired by Santa Ynez Valley produce, herbs and botanicals, mix maestro Alberto Battaglini knocks it out of the park once again with these fantastic new cocktail concoctions at S.Y. Kitchen. “The Valley Collection” was inspired by our warming temperatures and designed to complement the amazing cuisine of Chef Luca Crestanelli. 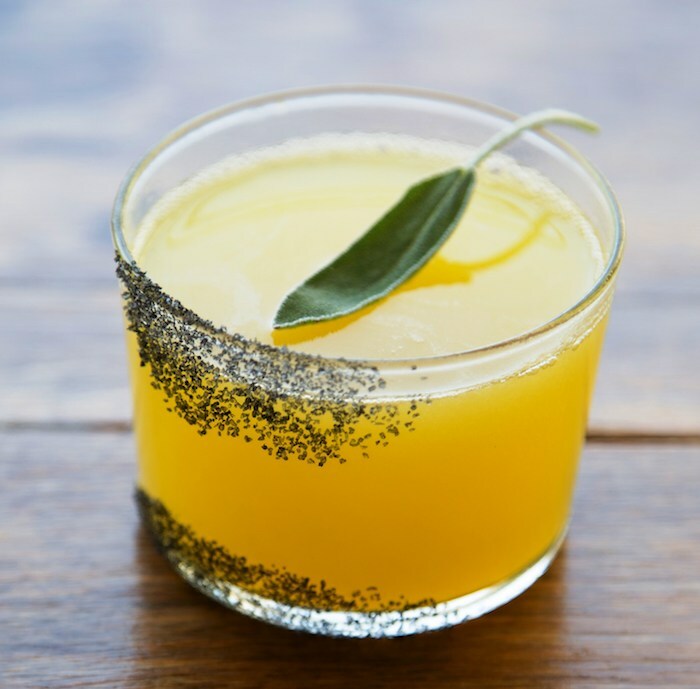 “The soul of mixology is found in all the old recipes that we twist with modern ingredients and tools, to play with tastes and to give every customer an extraordinary experience,” says Battaglini, the General Manager and Resident Mixologist at S. Y. 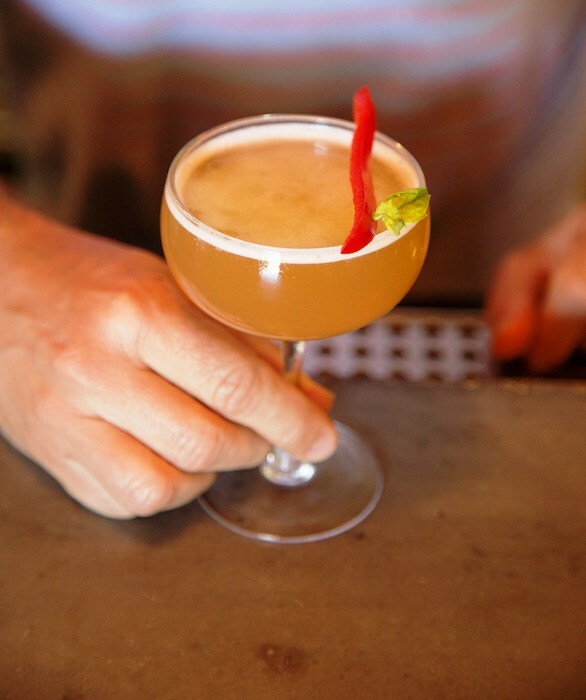 Kitchen, where he creates his infusions of spirits and bitters from a local bounty of fruits, vegetables and herbs. S.Y. Kitchen’s Mediterraneo cocktail with pisco, aperol, red bell pepper, basil and lime, photo by David Zepeda. A native of Verona and school friend of Chef Crestanelli’s, Battaglini dreamed of a restaurant career from the time he was a young boy. Attending Scuola Alberghiera, he learned the fundamentals of cooking and food service, and quickly learned that being a chef was not for him. From there he started his ardent love affair with spirits, which took him to Gatwick, London where he met his mentor in mixology, Ian Slater. 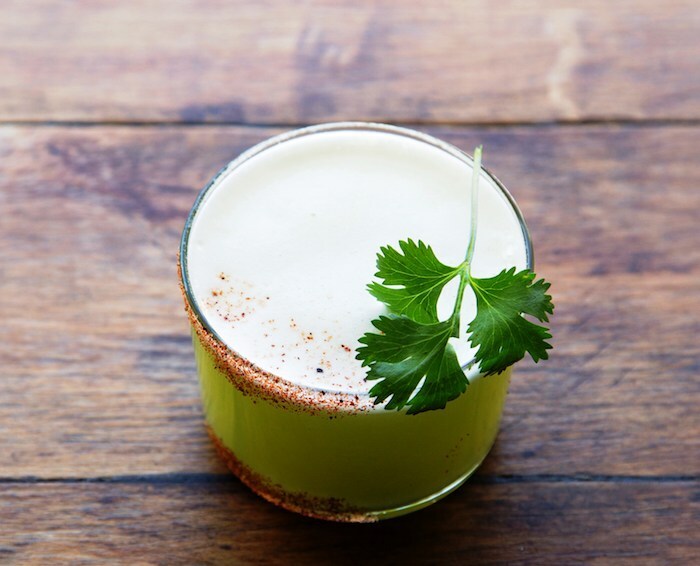 He further honed his mixology passion and skills in Spain and Mexico before meeting up with his old school friend Crestanelli, at Bar Toscana in Los Angeles and eventually coming to Santa Barbara County with Toscana and Bar Toscana owners Kathie and Mike Gordon, who partnered with Crestanelli to create S.Y. Kitchen. 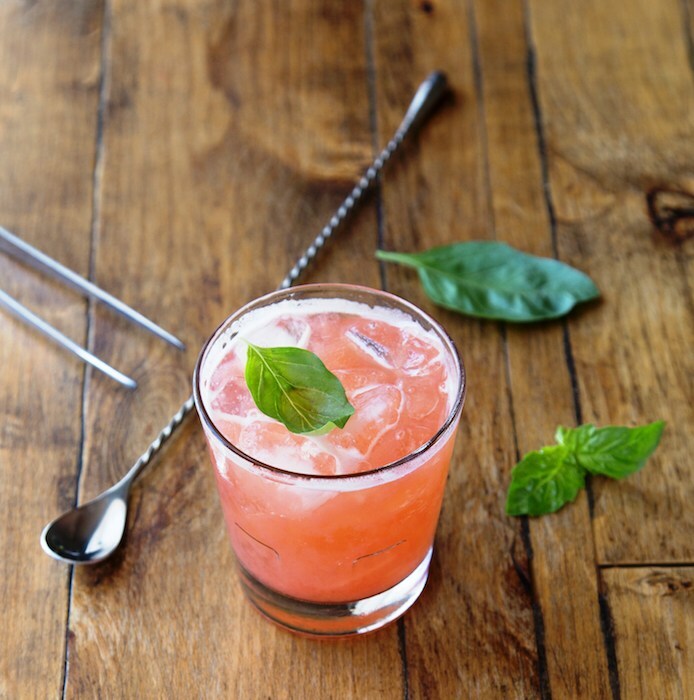 Battaglini, who recently competed as a western division finalist for the United States Bartenders Guild, has created seven new summer drinks for the Valley Collection cocktail menu : Cilantro Margarita, El Viejo, Pineapple & Basil Mojito, Sundown, Last Tokyo, Mediterraneo and the El Dorado. S.Y. 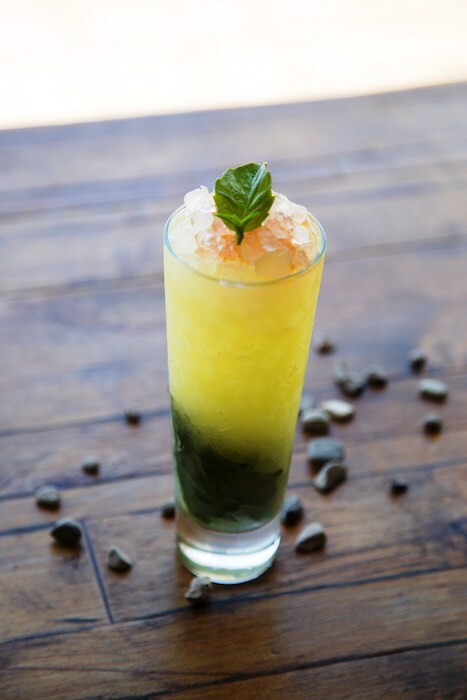 Kitchen’s Pineapple & Basil Mojito with rum, pineapple, basil, lime and sugar, photo by David Zepeda. S.Y. 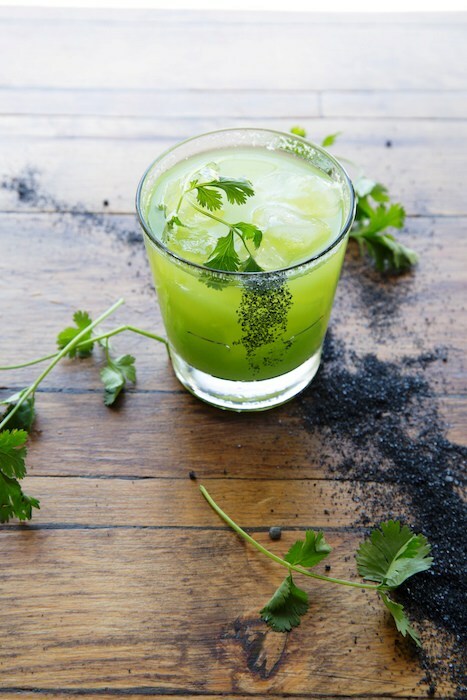 Kitchen’s Cilantro Margarita with tequila blanco and reposado, fresh cilantro, lime, agave and black lava salt, photo by David Zepeda. S.Y. Kitchen’s Sundown cocktail with rum, dry elderflower, strawberry, mint, basil, lime, photo by David Zepeda. S.Y. Kitchen’s El Viejo cocktail with mezcal, jalapeño, pineapple, cilantro, agave, lime and gusano powder, photo by David Zepeda. S.Y. Kitchen’s Last Tokyo cocktail with Japanese whisky, fresh sage, green chartreuse, maraschino and lemon, photo by David Zepeda. S.Y. Kitchen is located at 1110 Faraday St., Santa Ynez. For further information and full menus, visit www.sykitchen.com. Cheers! Click here for more Cocktail Corner columns. Originally published in Santa Barbara Seasons on August 10, 2018.